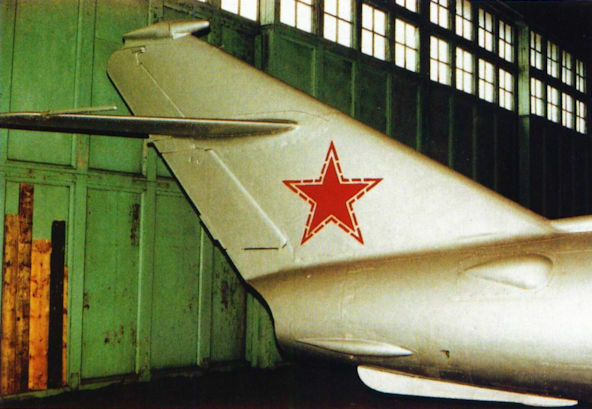 MiG-15bis, destined for conversion to a target drone, at Akhtubinsk in 1992. 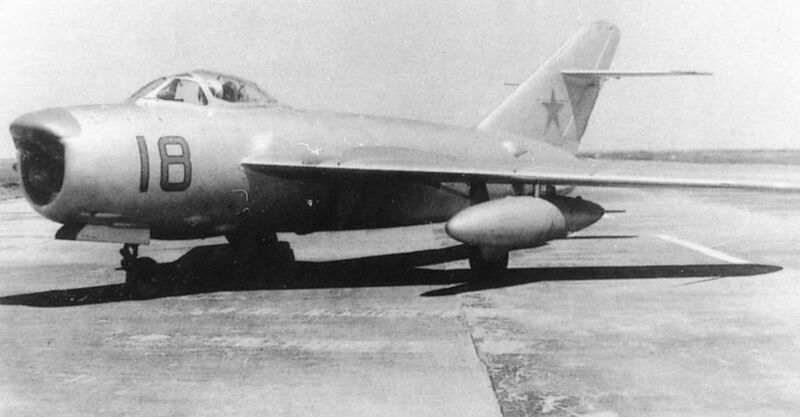 Based on the series-produced MiG-15, the M-15 drone carried the control guidance equipment in an under-fuselage pod. 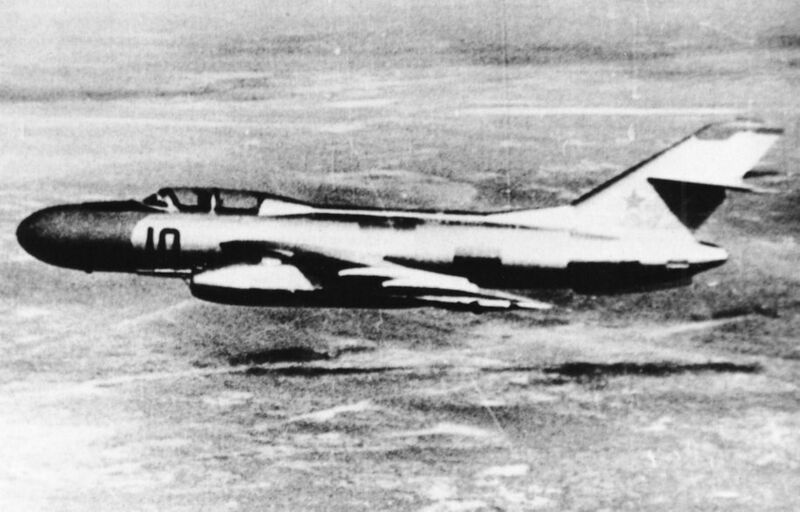 Rare shot of an M-15 in ferry configuration, with underwing tanks. Head-on view of an M-17 with tanks and a profusion of additional antennae and fairings. 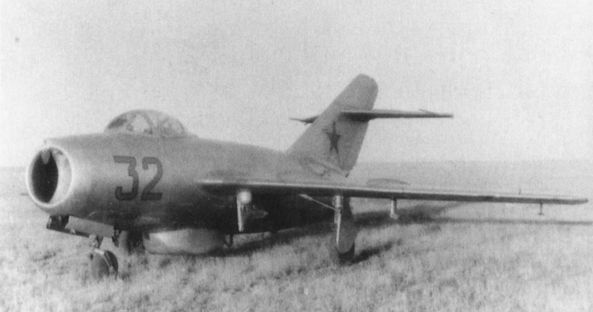 Late variant of the M-17 without pods for photo-recording. 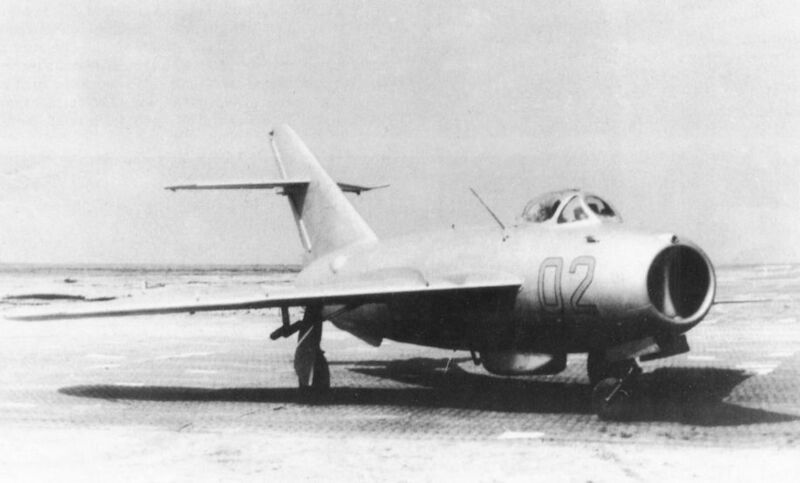 An M-17 awaiting ferrying from L'vov. 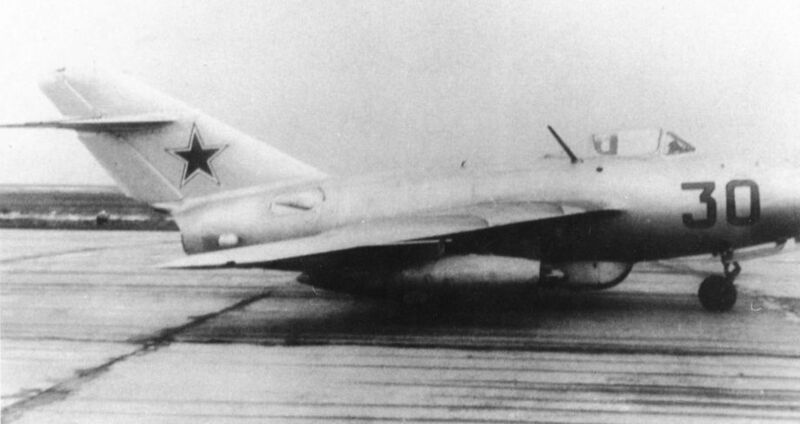 The M-17MM, based on the afterburner-equipped MiG-17F. 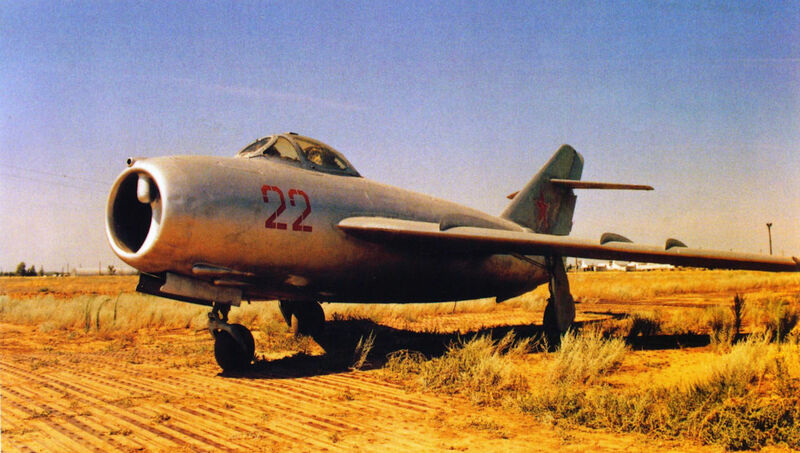 Note the additional bulge ahead of the fin, containing radio control apparatus. Late model M-17s outside at L'vov. 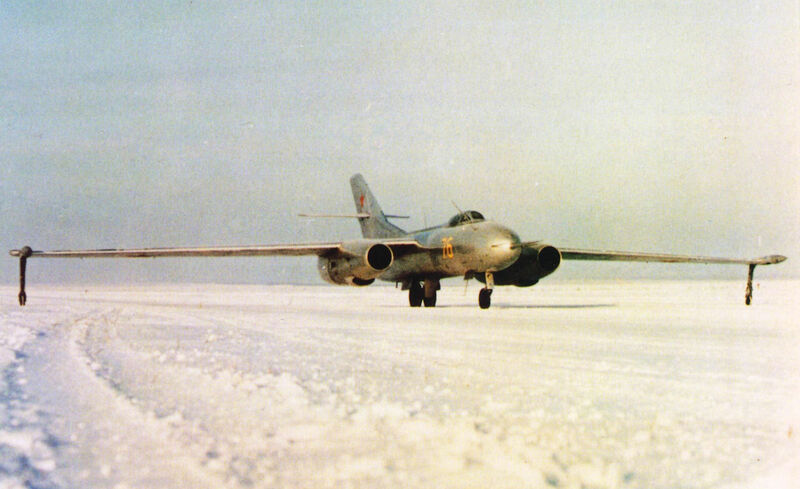 A Yak-25MSh during an unmanned test flight from Zhukovsky. 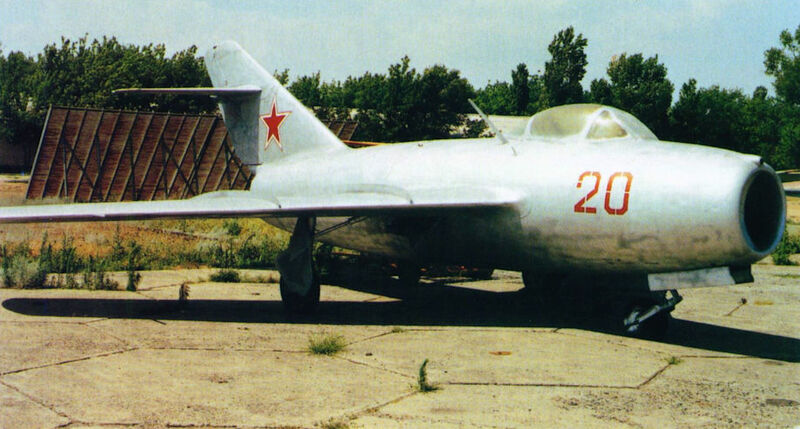 'Yellow 76', the prototype Yak-25RV-1 high-altitude target drone. 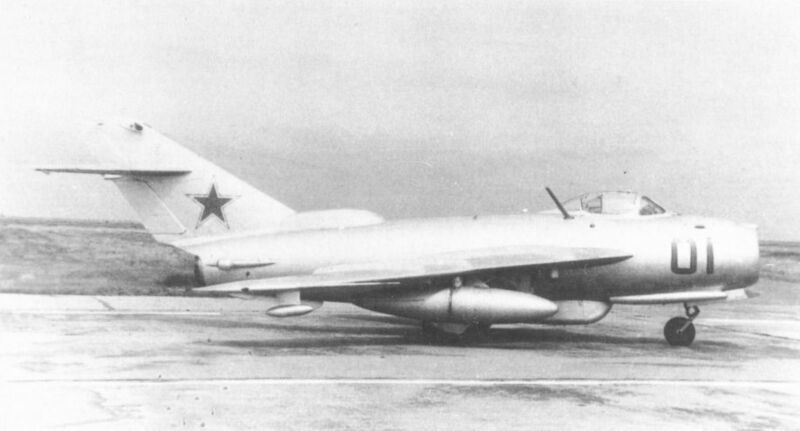 Series-produced Yak-25RV-Is at a Soviet air base.